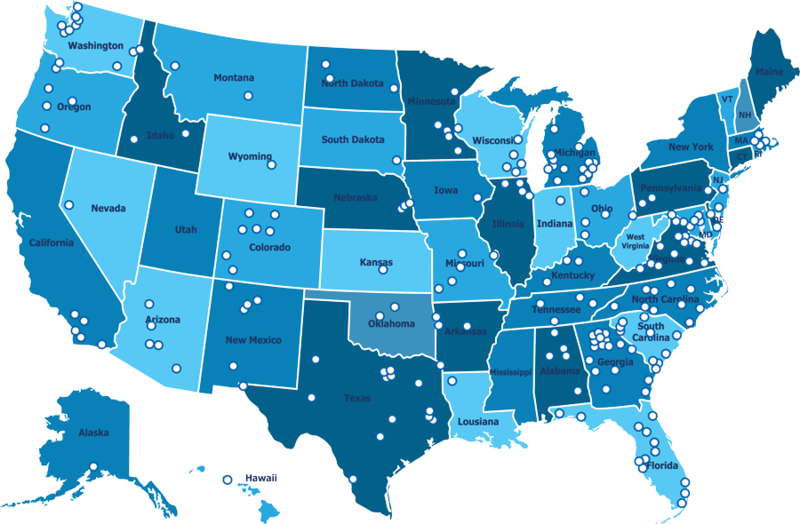 Cherokee Building Materials is part of a nationwide network of distribution centers. GMS opened its doors in 1971 in Atlanta, Georgia. Gypsum Management and Supply (GMS) was founded by two partners who prided themselves in building a company comprised of local subsidiary partners who had a vested interest in their business and local communities. This subsidiary is one of many of our local subsidiary partners in our network of more than 200 distribution centers nationwide across more than 40 states. Our unique service model combines the benefits of national scale with a local “go-to-market” strategy. Using an integrated national platform, we operate local companies with solid reputations, strong relationships, and local expertise. GMS is the largest distributor of drywall products in the United States and a leading distributor of steel framing, insulation, acoustical ceilings, EIFS, joint treatment and finishes used in both commercial and residential applications. Currently, GMS and its subsidiary companies distribute over 40,000 unique products including a wide range of accessories and tools. We take pride in knowing that our employees are among the most knowledgeable in the industry. At GMS, we empower employees to focus on their customers and doing whatever it takes to exceed expectations and provide superior customer service. Our guiding principle has always been that you can never go wrong doing the right thing. To learn more about the parent company or other subsidiaries within the GMS family, visit the Companies page on GMS.com or watch the videos below.